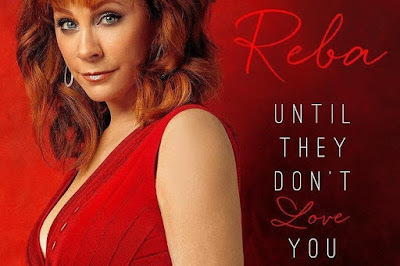 SINGLE: "Until They Don't Love You"
Is there anything Reba can’t do!? I mean seriously, she can act, she can sell out Vegas residencies, she has her own beauty line and the ever obvious…she can sing! She recently announced that her second single off of “Love Somebody” is going to be the fast paced “Until They Don’t Love You.” There is so much energy in this song. Reba co-produced the song with Tony Brown and was written by Shane McAnally, Lori McKenna and Josh Osborne. The key line of the song is “Sometimes you don’t love somebody until they don’t love you” which goes along the lines of the whole you never know what you have until its gone idiom. In the song shes realizing how much she loved someone once they decided to leave and in a last ditch effort to try to keep him from leaving, gets down on her knees and begs him to stay. It’s another reminder that we should never take things for granted and that sometimes the grass isn’t greener on the other side. I highly suggest listening to this song if you haven’t done so already!